HONG KONG, CHINA - sky100 Hong Kong Observation Deck(sky100) and The Ritz-Carlton, Hong Kong jointly launched "Café 100 by The Ritz-Carlton, Hong Kong" (Café 100), the world's first observation deck F&B outlet operated by the The Ritz-Carlton, Hong Kong. 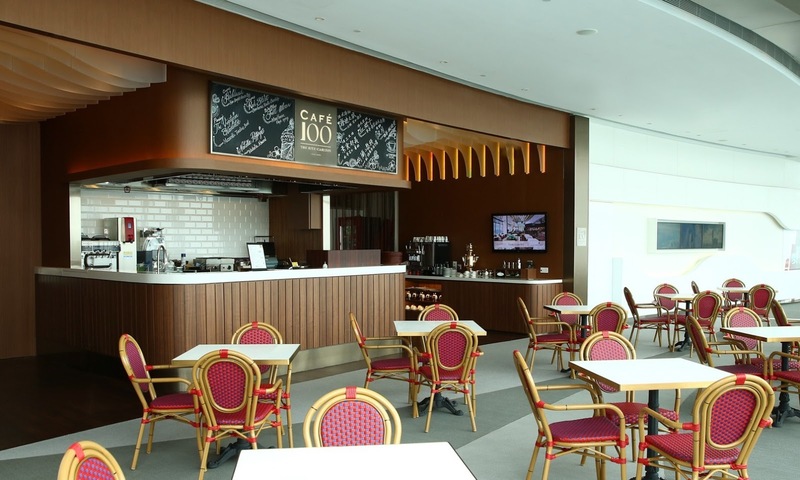 The menu, created exclusively for Café 100, features a boutique culinary experience with made-to-order delicacies, as well as the finest seasonal dishes. The opening of this landmark café sets a new standard for observation decks worldwide. "Since its opening in 2011, sky100 has been a popular destination among local and international visitors who have fallen in love with its 360-degree views of Hong Kong's world-renowned skyline," said Ms. Josephine Lam, Vice Chairman of sky100. "With the opening of Café 100, visitors to sky100 can now enjoy a tantalizing array of exclusively designed treats, and the acclaimed service of The Ritz-Carlton, Hong Kong." Mr. Pierre Perusset, General Manager of The Ritz-Carlton, Hong Kong also shared his view of this momentous new opening. "Café 100 introduces a casual dining concept with a cosy and relaxing ambience. The bright and airy space is highlighted by floor-to-ceiling glass windows that bring in lots of natural light. 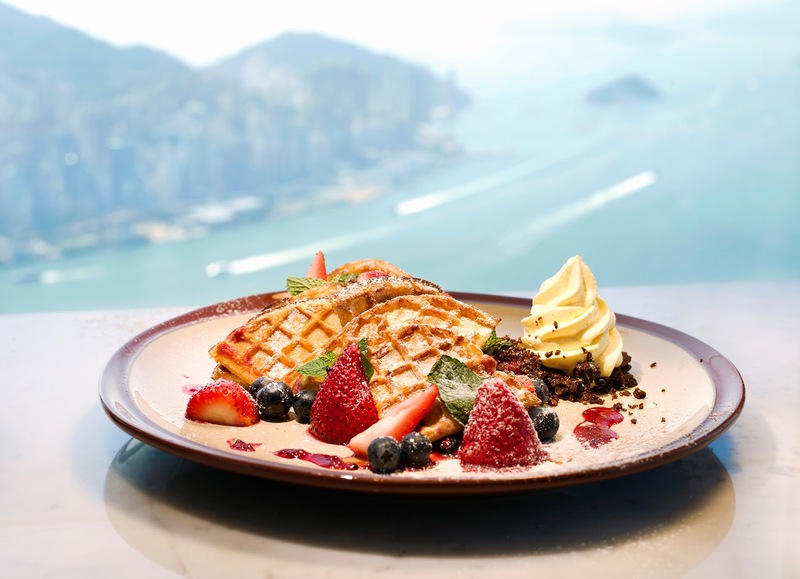 Located on the west side of the deck, with a seating capacity for just 40 customers, Café 100 offers guests boundless sea views and captivating sunsets as they enjoy a cultural fusion of foods and flavours created by the hotel's expert team." sky100 Hong Kong Observation Deck, at an elevation of 393 metres on the 100th floor of Hong Kong's tallest building, International Commerce Centre, is Hong Kong's only indoor observation deck offering full, stunning views of the city and its famous Victoria Harbour. For more information, please visit www.sky100.com.hk. Occupying floors 102 to 118 of the International Commerce Centre in Kowloon, The Ritz-Carlton, Hong Kong is the highest hotel in the world. Its 312 guestrooms all feature spectacular city and harbour views. The hotel also offers seven acclaimed dining venues; as well as a luxurious spa is located on the 116th floor. For more information, please visit www.ritzcarlton.com/hongkong.